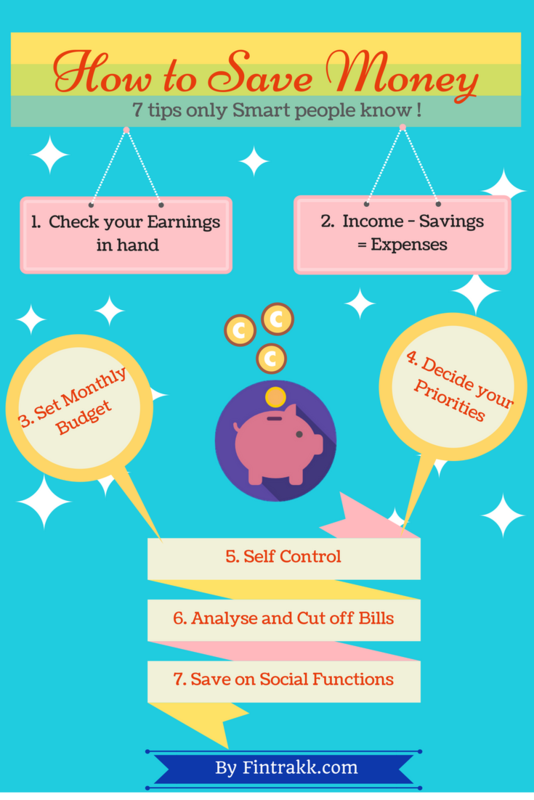 Follow these simple but useful money saving tips and save some of your hard earned money. Check your Earnings in hand. Analyse and cut off your bills. For detailed analysis you can refer our blog post : How to Save money – 7 tips only smart people know ! Also,go through our popular blog post : How to start Investing your money – A Beginner’s guide ! Thank you for sharing superb information.I am impressed by the details that you have on this website. It reveals how nicely you understand this subject. Bookmarked this website page, will come back for extra articles. You, my pal, ROCK! I found simply the information I already searched everywhere and simply could not come across. « Fixed Deposit vs Mutual Funds: Which is better investment option?